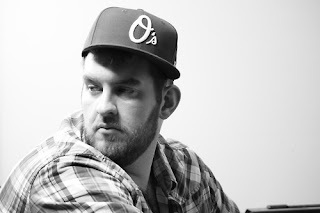 If you are a person who visits plenty of music blogs and other music outlets, you were bound to come across a hip hop artist/producer by the name of e-dubble. In the past year, he has gone from a few thousand "Likes" on Facebook to over 20k, and has amassed hundreds of thousands of YouTube plays without any label support. His talent and DIY attitude will take him to the next level, it's really only a matter of time before he is a worldwide phenom. 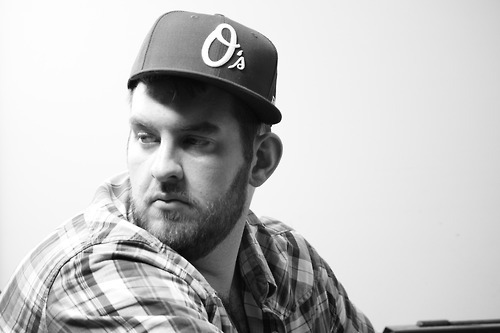 Head on over to our Facebook page and "Like" us to get the full interview to learn more about e-dubble. What is the defining moment where you decided to pursue music? Where does the name e-dubble come from and what does it represent? When picking samples, what do you look for/what makes you want to use that particular song? I'll usually focus my attention for a nice chord progression that I can get behind. For me that usually conveys the emotion of the song, and leads me in the way I'll write to it. Most often I'll end up chopping the hell out of it too, and trying to make something cool for a bridge or whatever. But most often it starts with the chords or a dope melody. What is your favorite genre to sample? I'm not sure I really have one, there's been so much genre bending and awesome new music in recent years that it's hard to put my finger on it. I love old stuff, I love new stuff, but sometimes I'll have to just not sample something b/c I hate the mix on it, or it's too lo-fi or whatever else for what I'm trying to do. So sometimes it's function over style, but I'm always scouring trying to find new joints to chop up and jam too. What is the inspiration for the lyrics? I always write the music first before penning anything, so as the beat develops some imagery will usually conjure up and that's where the inspiration will come from. It's often stream of consciousness type stuff, I don't deal in narratives too often, although I'd like to. We're currently building our independent label Black Paisley Records. We've done the necessary groundwork for things to continue in the right direction with that, but we're not against future partnerships or anything. It's a crazy industry obviously and we're just trying to do things the right way, working with the resources we've got and making sure it's about the music and the important stuff. There are a lot of big things on the way for the summer, but I think we need to finalize some details or something before I can talk about that. I'm a very good promoter. What do you prefer more: Producing, Rapping, or is it equal? It's probably a 60/40 split right now, rapping to producing. I'm usually 50/50 but lately I've been really hyped to get to the microphone and open up. The best thing about it all is the whole process, doing the whole song start to finish yourself forces you to be more invested in it I think, which hopefully translates into a quality song. You've been getting a lot of online love with music blogs, how has that made you feel? Do you think they have been a huge part in getting your name out there? Definitely! Huge shout out to all the blogs that have shown love and helped us each step of the way. We've established some great relationships with some great people behind these blogs and they're a huge part of music culture, and also the reason why so many independents and relatively unknowns such as myself would have a shot at real success in this industry. Besides the Freestyle Friday series, Written Thursday mixtape, Hip Hop is Good album on iTunes, what is the next project we can look forward too soon? In the short term I'm going to clear the backlog of songs I had been working on up until my workstation crashed, which means you can probably expect a large amount of material in the next month or two. Additionally, I'm looking to drop another mixtape, I can't quite speak on the date of that yet, but soon I hope! This guy is not a fake. Read this while listening to taking my time. Lol. Read this while listening to standing tall. Lol.